Things change quickly in today’s marketplace. Keeping up-to-speed with timely and relevant information is a responsibility you have to your customers and your business, but it is often difficult to find the information in a concise and useable format. Webinars are a very effective way for RSA to provide timely and thorough information on virtually any subject in an interactive environment that allows for Q & A between participants and presenters. RSA records all webinars and keeps them in a library accessible to RSA Members and staff, so if you miss one, it’s easy to review at your convenience. RSA Webinars should also be a part of your initial staff training and on ongoing education. Once considered to be a “novelty” and often expensive way to communicate, webinars are now part of mainstream training/communication methodology. 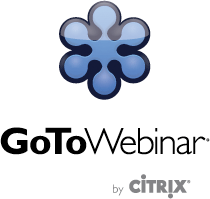 There are dozens of providers offering webinar services—RSA uses GoToMeeting as our provider due to the ease-of-use and robust functionality. RS Associates reviews industry news, new products and services, and Member requests to determine subjects appropriate for the webinar environment. We then build a webinar agenda and presentation. RSA webinars are FREE to all RSA Members. Webinars are presented “live” throughout the year.